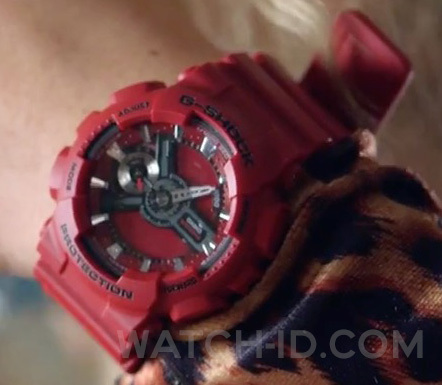 Britney Spears wears a Casio G-Shock GMA-S110F-4A watch in the music video Pretty Girls. 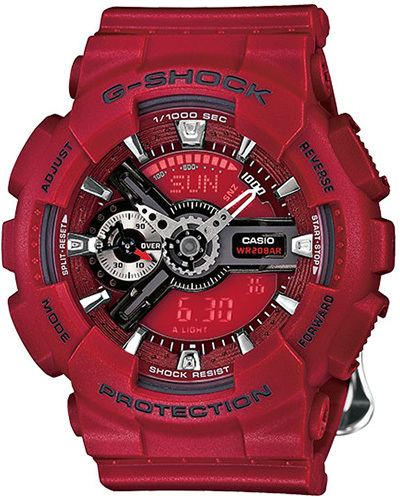 The new Casio G-Shock S Series in floral pattern was created for the influential, fashion forward woman that seeks a sportswear-inspired toughness to add to her modern style, while valuing advanced technology and precision in a fashion accessory piece. The GMAS110 is equipped with an Auto LED light, Magnetic Resistance, 4 daily alarms, 1/100th stopwatch and a Speed Indicator. Britney Spears wears the red version if this watch, but same model is also available in black (GMAS110F-1A), Blue (GMAS110F-2A) and White (GMAS110F-7A).